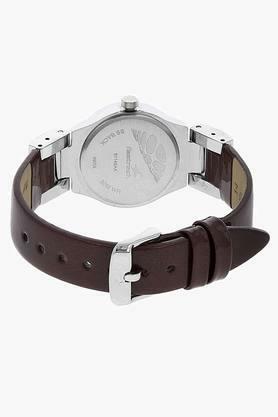 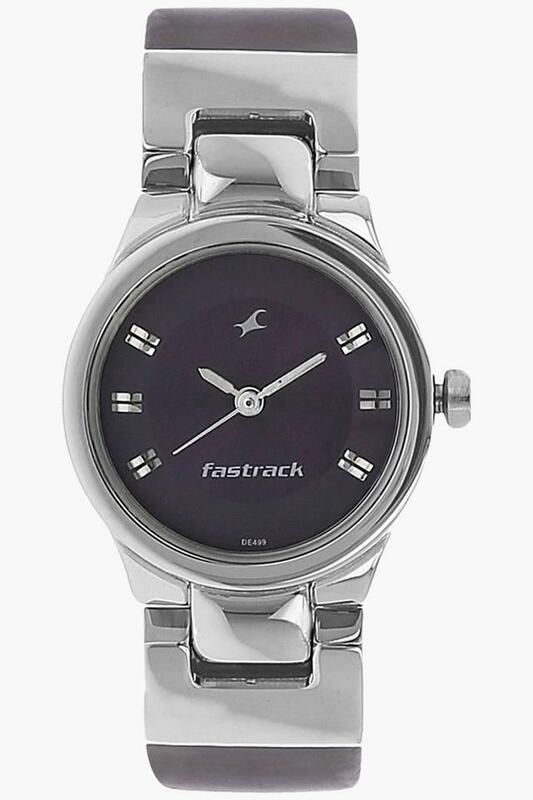 This analog watch for women has a purple, round dial, encased in a brass case that has a crown attached. 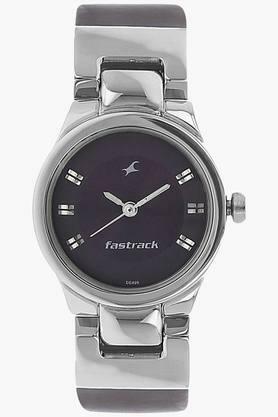 Six double stick indicators are present on the dial, which has three plain hands. 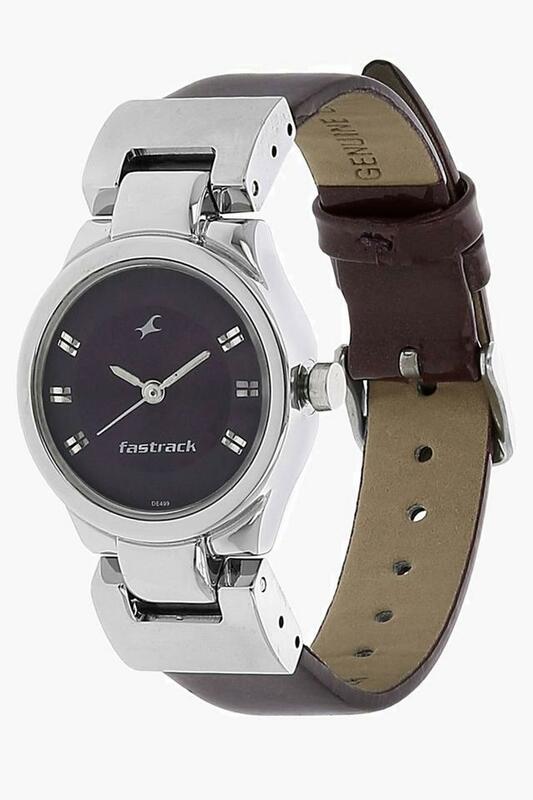 Its purple strap, made of leather has an adjustable metal buckle closure. 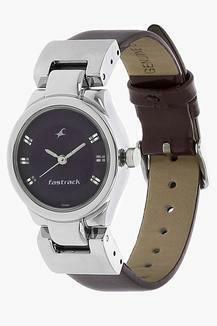 Accessorise for an effortlessly appealing look with this trendy watch by Fastrack.